ALT Hotel – Duggan Brothers Ltd. 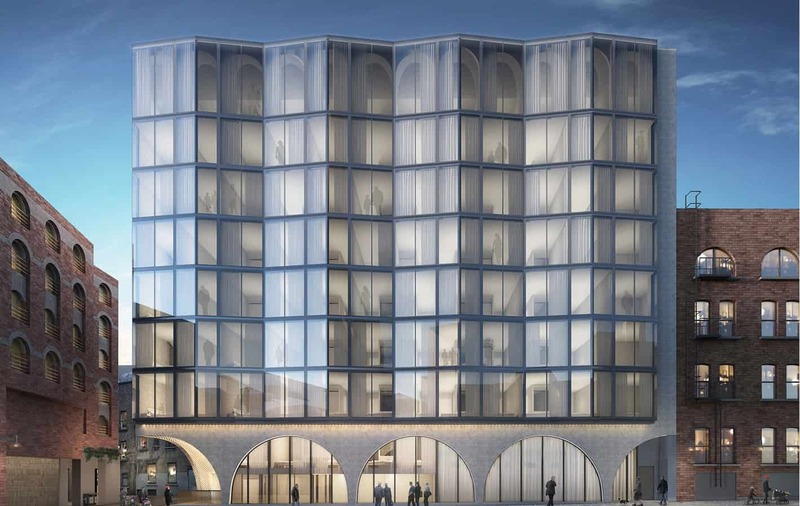 The ALT Hotel, formerly Andrews Lane Theatre will encompass 136 bedrooms, almost all of which are compact double-bedrooms of floor area c12.5m², spanning 9 floors including a single storey basement, a Lower Ground Floor Reception Area, and a Roof Top Plant Area. A signature external stepped entrance and double height arrival space will provide an exclusive entrance for the hotel, enhancing the exterior public space and creating more light along the street. This interdisciplinary project is designed to be one of the first hotels in the capital to fulfil with the near zero energy building standards. It will host air source heat pumps that will provide heating and cooling to all of the building. The hotel will offer approximately 3,600m² of net floor space, and prior to building works the existing two storey Andrew’s Lane Theatre will be demolished.